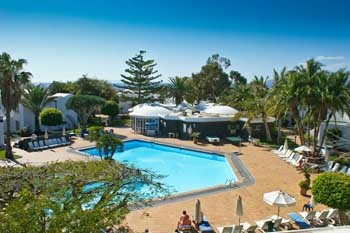 Address: Avenida de las Playas, 53, Puerto del Carmen (Lanzarote), Islas Canarias. These apartments are a short walk from the sea in Lanzarote. The complex is surrounded by tropical gardens and has an outdoor swimming pool. There is free WiFi in public areas at Apartamentos Barcarola Club. These include the garden, the sun terrace and the restaurant. All apartments have a balcony. The kitchen includes a kettle and a microwave. There is satellite TV, and safes are available to rent from reception. There is a breakfast buffet, and the pool bar offers snacks and drinks during the day. A children's playground is available. The complex also has snooker, table football, table tennis and giant chess facilities. Apartamentos Barcarola Club is in the Puerto del Carmen Resort. Arrecife Airport is just 5 kilometres away. There are many supermarkets and shops nearby. Please inform Apartamentos Barcarola Club in advance of your expected arrival time. You can use the Special Requests box when booking, or contact the property directly with the contact details provided in your confirmation. Please note that the safe in the apartments can be used at an extra charge. Please note that guests must present the credit card used to make the reservation on arrival. Please note that the credit card holder must be present upon arrival.